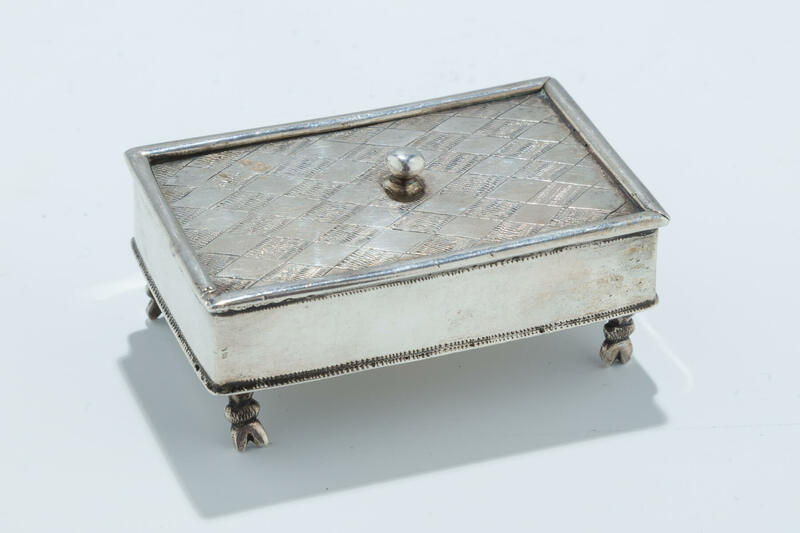 A SILVER SPICE BOX. Germany, 18th century. On four hooved feet. In rectangular shape with sliding lid, engraved in diamond shape pattern that slides to reveal a four chamber spice compartment. Marked with Maker HW and 13. Engraved on verso with previous owner’s initials. 2.8” x 1.7” x 1.1”.